The Canada China Trade Conference is inviting some of the biggest players in China to help you export your products to the Chinese market. Hearing from them as they speak about what it takes to create successful partnerships between Canadian and Chinese businesses. Then, rub elbows with those same speakers, as well as trade officials, media players, selling platform representatives, payment solution experts and like-minded business people like yourself as you network towards a rewarding expansion. Before being the professor and founding dean of CKGSB, Doctor Xiang Bing has taught at Hong Kong University of Science and Technology, Shanghai China Europe International Business School and Peking University. He was one of the first (seven) core professors of CEIBS and the founding director and doctoral tutor of EMBA and EDP of Guanghua School of Management at Peking University. In the past 14 years, Wang Qian and her company have served 200,000 business customers in various industries and have been listed among the top 100 Internet companies in China for five consecutive years. With over 20 years of experience in Asia and consulting, James leads Kung Fu Data’s eCommerce Advisory practice developing successful China market entry and expansion strategies for B2C brands ranging from toothpaste to luxury. His ability to pull actionable insights from raw data has helped “move the needle” for his clients. He is a blogger and frequent speaker at international eCommerce events including Growing Global, Apex-Brasil, GRIN (Global Retail Insights Network) and BWG. Zhang got her master degree of economics in Ottawa, Canada. She has over 15 years of experience in finance and real estate. She had worked for Bank of China (Hong Kong) and Citibank. Currently, she is the general manager of Anjuke’s overseas Marketing Department, and has expanded global business for 58 Anjuke group and enhanced its global influence. As the first real estate platform in China, 58 Anjuke group started to provide global real estate services in 2016, in addition to providing domestic business, so that Chinese consumers can directlt get in touch with the global real estate markets. Minyan Li has served as executive in China Certification & Inspection Group (CCIC) branches in China, Europe and North America, and dedicated to Chinese trade regulation consulting and services for more than 20 years. CCIC, accredited by Customs and China National Accreditation Service for Conformity Assessment (CNAS), is the largest independent third party organization in China that provides comprehensive one-stop service in the fields of quality, safety, health and environmental protection. Alpha Pay is a Canadian Fintech company focused on Cross-Border payment with Wechat Pay and Alipay. Michael Wong leads the sales team to engage in business development to increase Alpha Pay's market share and sales of Alpha Pay's products in North America. By providing service to thousands of businesses in the past 10 years, he has extremely accurate marketing judgment ability and business sense, which enable him to professionally figure out the most efficient business payment method and marketing solutions to help Canadian Merchants growth their business and increase their bottom-line. Paul Yeh is a Director at Eigen Development Ltd, responsible for product development and processor certifications in North America. In addition, he also maintains responsibility with major Point of Sale partners who enable payments integrated through Eigen's payment platform. Paul has over 17 years of experience in the payment industry with a specialized focus on integrated solutions for merchant facing technology products. Paul also manages the professional services division at Eigen. Weiboyi is an advertising platform targeting for social media, including Weibo and WeChat. Advertisers can deploy their advertisements into all the short videos that produced by social media influencers. Social media influencers can earn money while advertisers reaching millions of users. 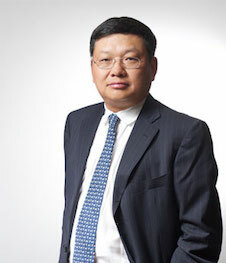 Speaking at CCTC is the CEO of WeiBoyi, Xu Yang. Meituan-Dianping, a massive online services platform in China which can be described as Chinese Tripadvisor + Yelp + Groupon. Meituan is one of the several major Chinese tech companies that are expected to go public in the coming year. Before joining Meituan Dianping, Zhang was the director of the Baidu Product Union and 58.com. As the vice president of Meituan-Dianping, he is in charge of commercial products, research, and marketing departments. Youzan.com is one of the China’s leading social media e-commerce solution providers, like Shopify. Their CEO, Zhu Ning has over ten-year professional experience in e-commerce, including work as a Product designer at Baidu and as the Chief product UE designer at Alipay. In 2012, he struck out on his own to create “Youzan”. Now he is coming to share his story at the CCTC. Tim is an entrepreneur, speaker, professor, and founder of the Entrepreneurship Faculty at the University of Victoria and under Canadian Government-sponsored scientific R&D grant programs. Tim holds, MBA, as Professor conducted Ph.D. level research, is certified through MIT and Oxford. He has been selected in the top 10 thought leaders by Entrepreneur Magazine “Top Lessons from Top Leaders in 2018”. He’s active in the Canadian Trade Accelerator Boston. With over 1.5 million development hours, its subsidiary BlockCerts.com is a leader in the blockchain marketplace for organizations and governments. BlockCerts introduced BCERTin, the world’s first blockchain app for desktop and smartphones. The company’s BCERT tokens are the first utility crypto tokens with real value to expand businesses. in the United States in 2017, and a branch company in Hangzhou. It is an important partner of Alibaba and Tencent in North America. The company specializes in cross-border integrated services and provides cross-border one-stop solutions for China and North America. There are currently 30 full-time employees in the North American team. Ou Haiying began researching electronic computer content in the early 1990s. He received undergraduate student awards from the Natural Science and Engineering Research Council of Canada (NSERC) and a bachelor’s degree in electrical engineering from the University of British Columbia (UBC) to discuss computer market development and business. Ou received an MBA from Carnegie Mellon University in 1999. Lorne N. MacLean, Q.C. (Queen’s Counsel) is the founder of MacLean Law and one of Canada’s most experienced and highly rated family lawyers dedicated to family law and divorce in British Columbia. Lorne has successfully protected clients’ rights since 1983 in the field of high-net-worth and complex family law disputes, including such aspects as jurisdiction, spousal and child support, property division, child custody, guardianship and access, and marriage-like relationships. Having had the rare honour of making two appearances before the Supreme Court of Canada, and set the law in B.C. and Canada through winning complex cases, Lorne has earned a reputation as one of the nation’s toughest and most thoughtful advocates for clients. Finance Professor at Cheung Kong Graduate School of Business, head of the Department of finance, Founding director of the first Finance MBA program in Mainland Chain. Member of the Finance Society of America; Managing director of China Blockchain Application Research Lab. Taught at the University of California at Berkeley, the University of North Carolina, Chapel Hill, admitted to the USTC gifted class in 1979, Yale University/ UCLA PhDs.